great location. Small room as expected, but will kept. Great to be through security the evening before an early flight. 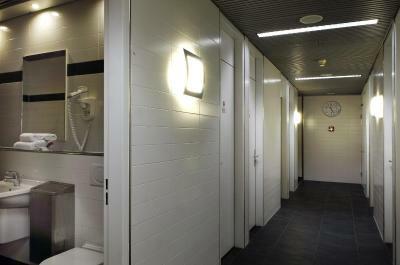 Great hotel, very convenient in the airport terminal. We were traveling and had midnight to 8 a.m. between flights. 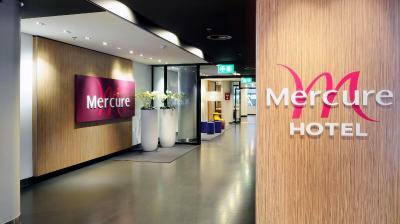 The Mercure was a convenient and comfortable place to spend the time. We slept and awoke refreshed for the next leg of our journey. Close to airport attractions, amenities and gates. 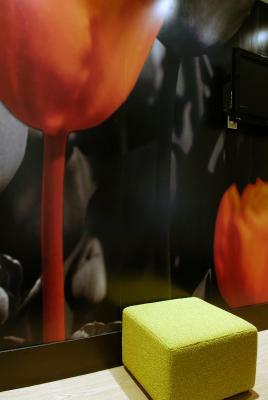 Location: inside Shiphol terminal, beyond the security check. 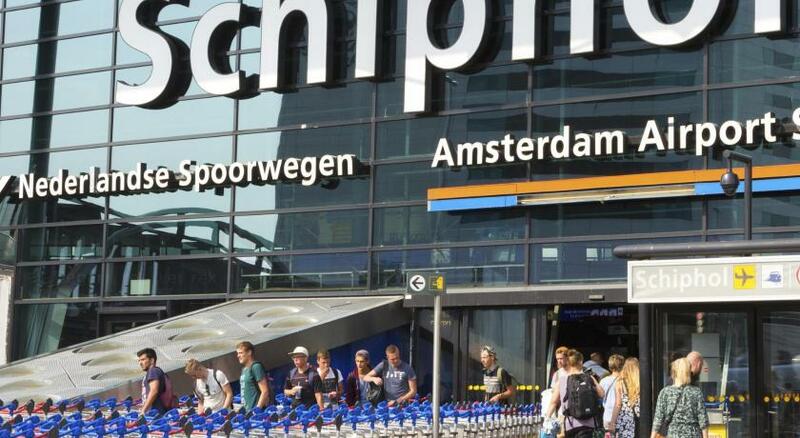 If you have a late flight into AMS and a connection out early next day then this is perfect as you do not have to go through security again. That does not work if you have checked luggage, though. Location excellent for long layover or very early departure. Great to have a hotel in the secure airport! The guy who checked us in and the lady who checked us out were awesome - especially the guy who checked us in, young kid, told us where we could eat late at night and the smoking areas. Very comfy bed. I was worried it would be loud, but it was very quiet, allowed us to get a great sleep. Very cozy bed & the room was neat as a pin. The staff was great & helpful. Kind & courteous & attentive & professional. Lovely people. Will indeed book here again. Perfect location for air transit. Uber convenient for our overnight stay. Mercure Hotel Schiphol Terminal This rating is a reflection of how the property compares to the industry standard when it comes to price, facilities and services available. It's based on a self-evaluation by the property. Use this rating to help choose your stay! 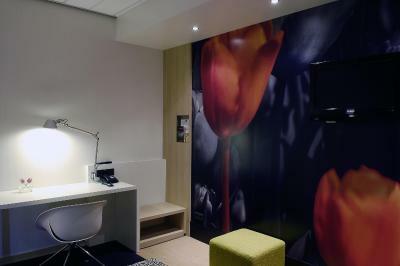 The Hotel Mercure Schiphol Terminal is located in Lounge 3 of Schiphol Airport opposite the KLM Crown Lounge. 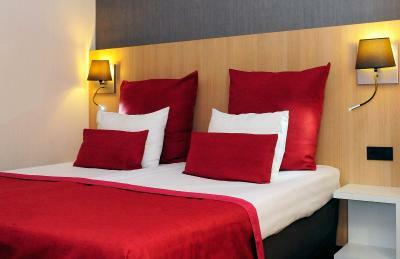 With a valid departure flight ticket and passport, you can profit from comfortable hotel rooms before a flight. 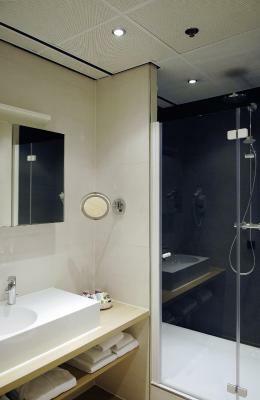 The hotel has free Wi-Fi and tastefully decorated rooms with a bathroom with rain shower. 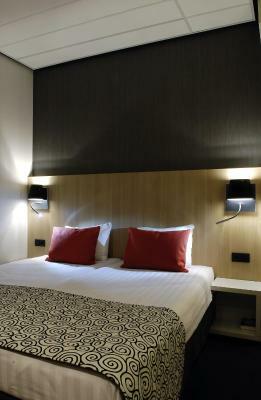 Climate control is offered in your room as well. 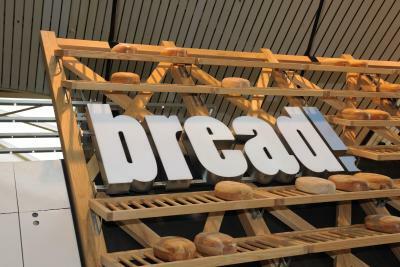 When you are hungry, visit the nearby Restaurant Bread. This self service restaurant can also be found in Lounge 3 and offers a large selection of drinks, and various tasty sandwiches. 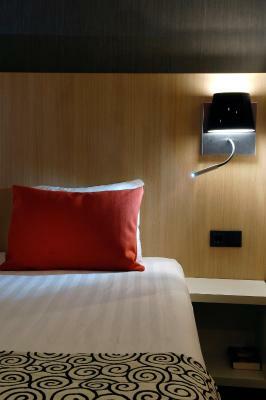 Furthermore the hotel offers 24-hour room service. 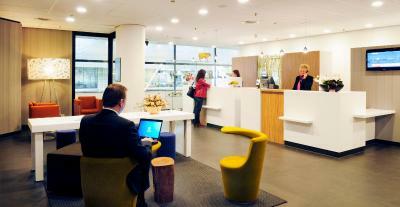 Mercure Schiphol Terminal is located on the 1st floor in lounge 3. This is between gates E and F. To reach the hotel from outside the airport, please proceed to departure hall 3 and pass customs on the 2nd floor above check-in desks 22 and 23. After customs turn right and you will find the hotel. 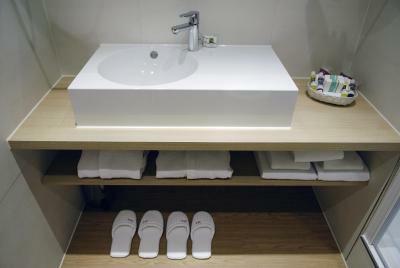 Guests cannot access the hotel with hold luggage. 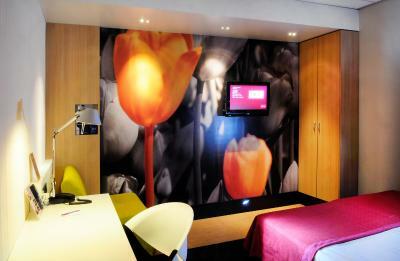 When would you like to stay at Mercure Hotel Schiphol Terminal? 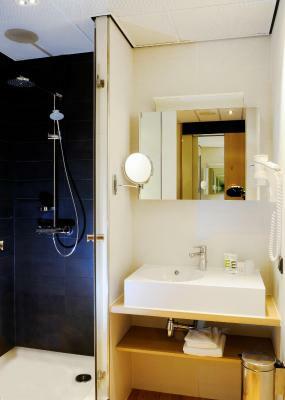 Has free Wi-Fi, free coffee/tea facilities, flat-screen TV and a bathroom with rain shower. 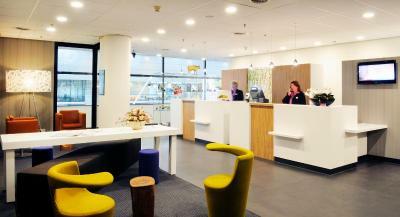 House Rules Mercure Hotel Schiphol Terminal takes special requests – add in the next step! All children under 2 years are charged EUR 9 per person per night in a crib. 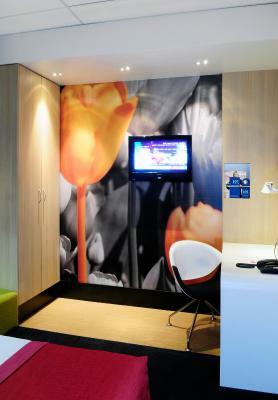 ATM card Mercure Hotel Schiphol Terminal accepts these cards and reserves the right to temporarily hold an amount prior to arrival. 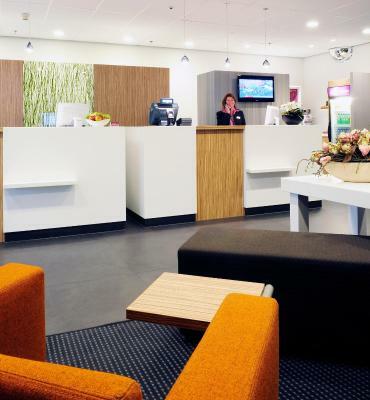 Mercure Hotel Schiphol Terminal accepts these cards and reserves the right to temporarily hold an amount prior to arrival. The airport is currently under reconstruction. Please note that for this reason there is a possibility of noise disturbances during your stay. Please note that in order to stay at the hotel, you must have a valid flight ticket for travel the next day and a valid ID. The ticket needs to be for a departure. Please note that check in is possible from 20:00. 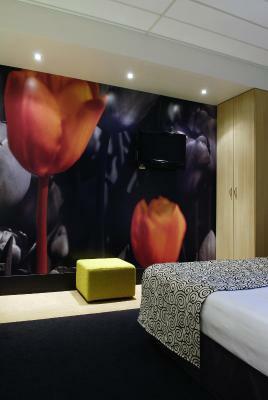 The hotel is located in the transit area of Lounge 3 opposite to the KLM Crown Lounge. To reach the hotel from outside the airport, please proceed to departure hall 3 and pass customs on the 2nd floor above check-in desks 22 and 23. After guests turn right and you will find the hotel. Please note that guests are not able to access the hotel with hold luggage, while we are located in the secured area of the airport. If there are any questions concerning this fact, please contact the hotel for more information. Price should have been a bit cheaper. Water bottles should be increased per room. difficulty finding the hotel. Airport personnel didn't know where it was and it took some discussion with them to allow us to pass security to get to the hotel. Shower stall leaked quite a bit - very wet floor. Staff was super friendly. Conveniently located. The bathroom had piles of black hair in it. To get to the hotel you should go through the security and passport control. Since we had a big suitcase we had to put it in the storage. Our flight was at 7 AM next morning. We left the hotel at 5 , and it took us half an hour to go through passport control again, to exit through the arrival area, to get the luggage from the storage, and then stay in a huge line to check in the luggage. No matter we already had our boarding passes. It took us another 30 minutes to go through the security. We barely got to the gates for boarding. The room and beds were nice and clean. Good hotel for the transit passengers. Room was quite small and quite expensive too. 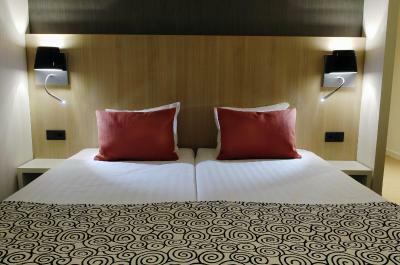 The bed was comfortable and the staff we initially met was friendly. I didn’t realised it was in the transit area in the airport. You have to go security check and passport control for in and out. So although it’s the closest one to the airport. It may take you longer than getting to other hotels. 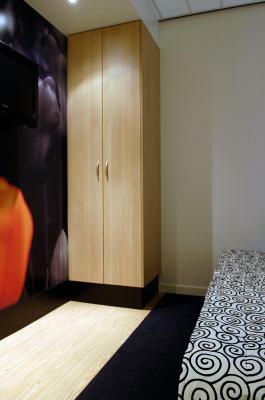 The room is so nice for sleep, even the room by the entrance. No noise or nature lights at all. I had really good sleep, actually the best one during my trip in Holland. The bathroom gets anything I need, WiFi is nice as well. I was travelling alone and the directions on the booking form on how to find the hotel were really bad. 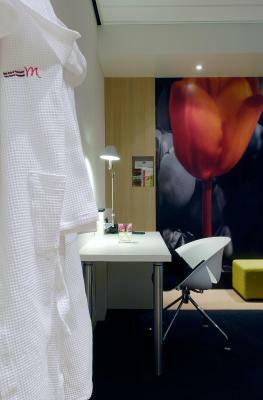 I was also booked into this hotel when I arrived at Schipol. for the night of 19th. I had booked a taxi but was not told by the taxi company that I did not need a taxi. I met with the taxi driver who was very kind and tried to find out how I could get to the hotel and was told that as I had come out of the airport that I could not get back into it to find the hotel. The taxi driver walked with me to the Hilton Hotel and I was able to get booked in there and the receptionist at the Hilton Hotel very kindly tried to contact the Mercure and eventually managed to cancel my booking. This of course cost me extra. It must be explained to all travellers what the procedure is to get to the hotel. 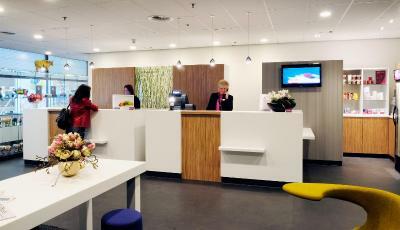 When I returned for the night of 30th March I went to the KLM desk and they explained what I had to do. I had to go throught security to get to the hotel which I understand, and I already left my luggage in the baggage department as that was explained on the instructions at the time of the initial booking. All this was very inconvenient. The Shower is absolutely lethal and very slippery and I bruised my leg trying to get out of the shower. It could have been a very nasty accident. I liked that it was in the airport and was convenient for my next day flight apart from having to deposit my hold luggage in the Baggage Department overnight but I understand the reasons for this security. Good location. Good bed. 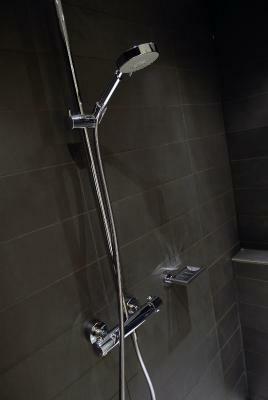 Very good shower. I’d like the tea. A bit overpriced but I suppose paying for the convenience is worth it.